Taste of Nepal Tour is designed to give you an insight of the most popular activities you could take on while visiting the Himalayas. We will take you to places where you can enjoy most spectacular mountain views, historical monuments, traditional Hindu and Buddhist Temples and also experience a wonderful, Nepalese hospitality in the remote areas. While on the tour you will be able to experience diverse cultures, traditions & festivals, foods, and clothing of a different ethnic groups living here in a peace and harmony with each other. Taste of Nepal tour starts with visiting the cultural towns of Kathmandu, Patan and Bhaktapur for a couple of days. 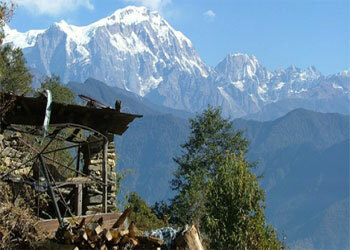 Next there is a visit to Nagarkot, where you can enjoy the views of magnificent Himalayan vistas. 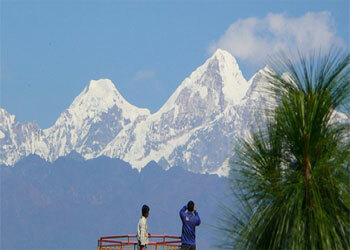 From there we will take you to a peaceful Pokhara, with its glorious views and a beautiful lakeside. Chitwan National Park, with its reach flora and fauna, is also a place you will get to enjoy. From the colorful sights of Kathmandu, a peaceful Nagarkot, stunningly beautiful Pokhara to the view of the extraordinary beauty of Himalayan peaks, this trip gives you the perfect ‘taste’ of Nepal. We recommend it to the short time visitors, who do not necessarily wish to trek. During the Taste of Nepal tour, you will be able to explore a little bit of everything that Nepal has to offer: the natural environment, vibrant cultures and history, wildlife safari and of course, the majestic Himalayas. Please check the below tour itinerary and contact us directly for booking information. Tour Duration: 08 days from arrival to Departure. Transportation: Good Condition Private Car/Van depends on group size for a tour with a good driver, for long drive tourist bus/flights are available. Good condition private car/jeep/hiace depends on group size with a good driver; for long drive tourist bus/flights are also available. On your arrival in Kathmandu International airport,our representative will meet you and drive to the hotel. Kathmandu is an old city known for its cultural and architectural heritage. The very next morning, after breakfast you will leave for a full day sightseeing tour around Kathmandu valley. You can visit sacred Pashupatinath Temple and Swyambhunath, very ancient and essentially enlisted in UNESCO World Heritage sites. The biggest Buddhist Stupa at Boudhanath and the fine arts and historical architecture of Kathmandu Durbar Square reflecting the ancient Nepalese culture are highlighted on our guided tour. On return to your hotel, you will have time to explore the local area, have dinner and perhaps take a leisurely stroll through the famous streets. We can take a short flight to Pokhara with magnificent mountain view, or drive by private car/tourist bus takes 6 hrs through scenic highway. Pokhara unique charm derives from its all-year-round splendid climate and its stunning close views of magnificent Machhapuchhare or Fish Tail Mountain (6997m), and the mighty Annapurna. Enhancing Pokhara’s appeal is Phewa Lake at the foot of massive peaks a mere 25 km away. Pokhara celebrates mountains and its people, most famously the Gurungs and Magars, who form the core of the renowned Gurkha soldiers. Walk around the Fewa Lake in the afternoon and take a boat ride. You can enjoy the spectacular views of Annapurna Himalaya Range reflected in all its glory in the calm green water of the lake. Spend leisurely evening. Enjoy breakfast on a terrace overlooking the mighty peaks from your hotel, and Later you leave for a boat ride across the lake. 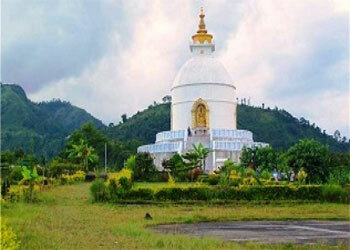 Then do a walk of about 1 ½ hrs (each way) to reach the World Peace Pagoda – a 40 M high shrine built with Japanese aid. Enjoy outstanding panoramic views that cover the Pokhara Valley & Phewa Lake framed by snowcapped mountain peaks. On return afternoon you will have a tour of Davids falls, caves and Tibetan Refugee Camp, Be back at your hotel in the evening. Overnight stay in Pokhara. Have a leisurely stroll over the beach side of Lake enjoying the evening. After breakfast drive on to Chitwan National Park, about 5 hour deriver through scenic high way, on arrival at resort lunch will served and our nature guide will brief you about the programme. Wildlife in Chitwan National Park includes the greater one-horned rhinoceros, spotted deer, hog deer, sambar deer and barking deer as well as a wide variety of birdlife. With a bit of luck, there is always the chance of glimpsing the leopard, sloth bear, and Royal Bengal tiger. you will cover elephant back safari, canoeing, village visit, jungle walk, bird watching, Elephant breeding center visit and Tharu cultural programme during your Chtiwan stay. 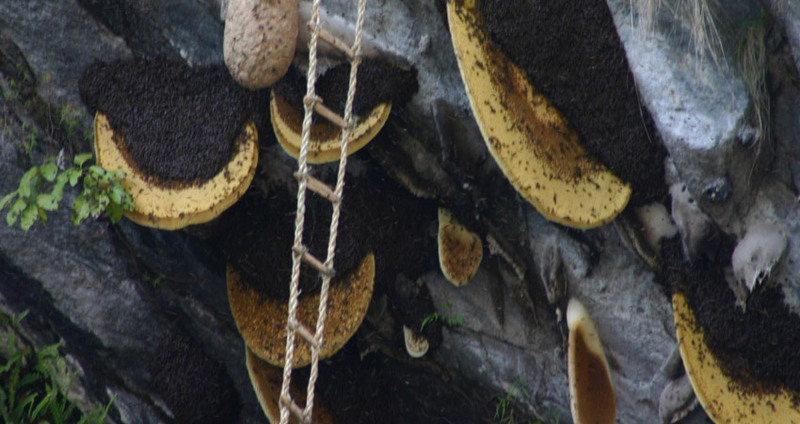 There are several activities to do, elephant safaris, bird watching, nature walks, village walks, etc. Our guides will help you identify some species of birds, plants and other wildlife. Learn more about these fascinating animals during a visit to our elephant stable. After lunch, traditional dug-out canoe takes you on a silent trip down the Rapti River to view aquatic birds and the animals of the river banks. At the evening, farmers of the nearby villages will show some of their traditional skills and dances. Early in the morning, after tea, you can have bird watching, after breakfast you will drive or fly back to Kathmandu. Transfer to airport to fly back to the onward destination. Hotel Accommodation in Kathmandu and Nagarkot including breakfast. 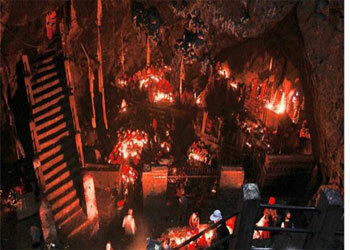 Guided Tour of Kathmandu City with an expert tour guide and private vehicle. Comprehensive per-departure information and trip dossiers. All the meals at Chitwan, all jungle activities, National park permit, nature guide. All necessary paper works, office Service charge and all Government Taxes. All ground transportation by private car.